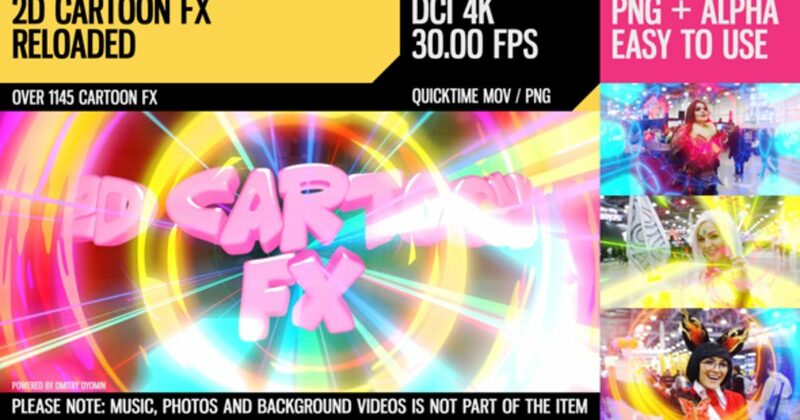 –	2D Cartoon FX comeback!!! New resolution (4096×2160), new eye-popping and dizzying elements (1145 Different Toon Clips with Alpha Channel), even more color and animation. Be in the trend and enjoy the new cartoon style.